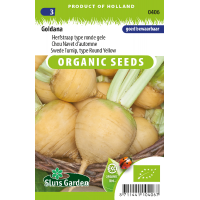 Goldana is a turnip with attractive yellow flesh. 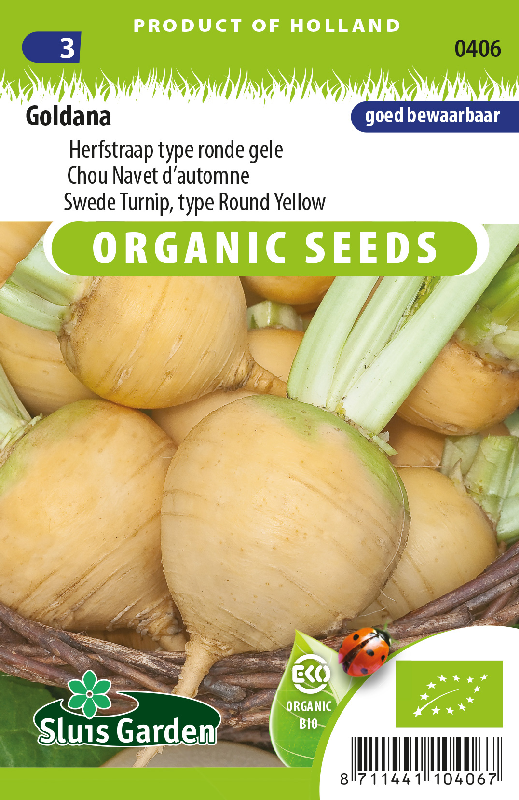 The attractive oval-shaped tubers grow quickly and have a delightful mild spicy taste. The leaves can also be eaten as turnip tops. When sown early in March to April the crop can sometimes run to seed, which means they start to flower. Sowing later in July to August is therefore more certain. After the harvest ensilage the tubers and keep until winter. Grow each year in a different place. Use anti-insect nets to protect young plants against cabbage midge.